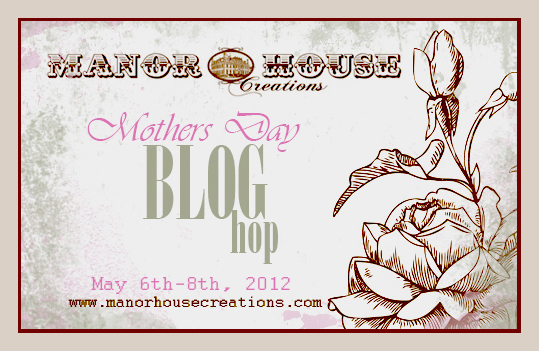 Hello and welcome to MANOR HOUSE CREATIONS MOTHERS DAY BLOG HOP. Thank you for joining us. Its almost Mother’s Day and we want to show our appreciation and thanks to all the wonderful Mums out there, and all Mum’s love flowers right? 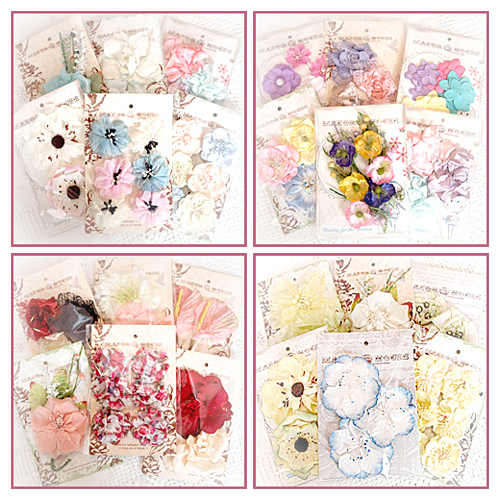 So we are offering 4 beautiful prize packs FULL of Manor House Creations flowers. 4 lucky ladies will each win one of these gorgeous packs.. The blog hop begins at MANOR HOUSE CREATIONS BLOG you will also find a complete list of all participating blogs there, in case you get lost along the way. Simply follow the links left on the wonderful design team blogs; the last stop on the hop is Manor House Creations FACEBOOK page. There will be hidden letters on each of the blogs that spell out a ‘secret sentence’, follow the clues, and when get to the end, and you have worked out the secret sentence, go to the Facebook page, ‘LIKE’ our page and leave your answer in the comments section. The rules: You must visit all the blogs, leaving a COMMENT and becoming a FOLLOWER to all, you must also “LIKE” our Facebook page, and write the secret greeting in the comments section. 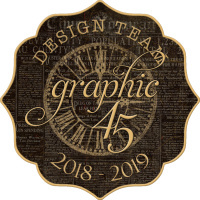 Our design team have created some wonderful projects to inspire you along the way. Product used - MHC Country Lane - Green & MHC Naomi. I pulled larger back layer from the Naomi flower, then I scrunched the base of the remaining flower to create a smaller more dimensional flower. To change the appearance of the Country Lane - Green flowers i pulled the centre TR stamens completely out of the flower then basically folded the flower inside out so that the petals of the flower folded out rather then folding in. Scrunch the base of the flowers then re-glued the stamens to the centre of the flower. The blog hop begins now, and will run through till midnight Sunday the 8th of May Australian Eastern Standard Time. You have until midnight on Monday the 9th of May to enter. The winners will be announced on Saturday 14th of May on our Facebook page, and also on the MHC blog. Have fun, good luck, and happy Mother’s Day to all the Mums out there. Stunning page Joanne! I love how the color pops off the black background. Thanks for the inspiration! Fab and fun Jo. I always love your design style. Love the colours and that cute pic too. Stunning layout - great colours for a boy. Who would have thought flowers would look so good on a boys layout! I became a follower and will be checking in often! Thanks for sharing! Oh I love this layout it is so cute !! I love the wait this page is constructed and for a masculine page it looks just beautiful. I love the colour of the flowers you've used. Wow, your layout is awesome- I love the dark background with the orange- just FABulous!! New follower here for SURE! Stunning layout. It really pops. Love it all. Now a follower. Joanne this is such a fun layout - The cute pic, the way the large title letters are divided by the pic in between, the stunning array of flowers, the swirly ribbon and the cute spotty background - love it! Absolutely stunning. Love the way you used flowers on a boy page. Love your blog by the way..
You have such a unique style. Love it! 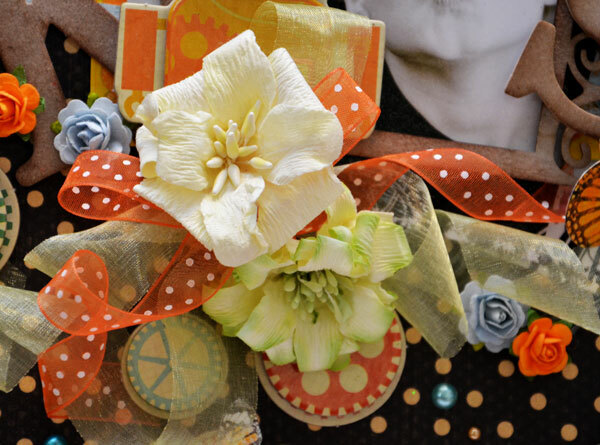 Oh wow, your way of clustering and embellishing is stunning! What an amazing layout! So eye-catching! I love the dark spotted background - it really helps to make it pop. I so love this! You made a floral page for a boy and it looks amazing! i adore that little robot tucked inside there! wonderful inspiration!! OMG This is just gorgeuss! 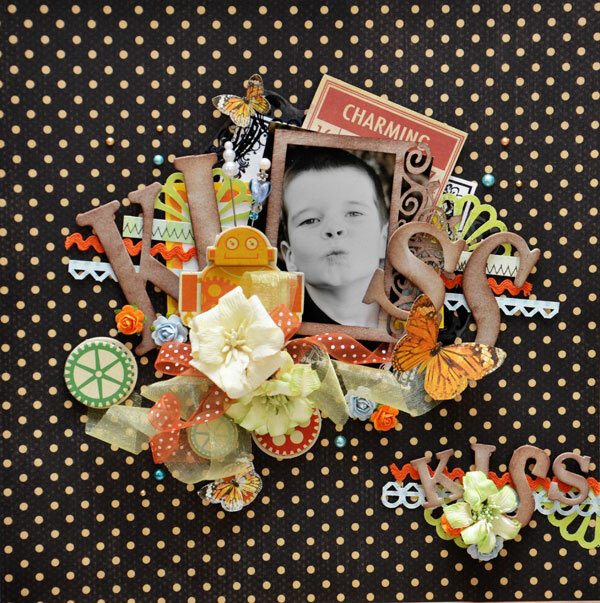 I love that poka dot paper and the flowers and... well everything! I can't imagine how you think of your layout that can suit for boy or girl picture. amazing! I don't know how you think of a layout that can suit for boy or girl picture..... amazing work! LOVE that striking color combo, and you have chosen some gorgeous blooms! Beautiful work! 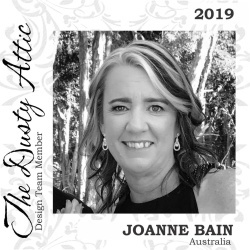 Joanne, wonderful masculine layout. Your really embellish well and showcase manorhouse so nicely. This is such a fabulous layout, love how you've layered everything!! WOW! I love your style! How on earth did you manage and glue down all these layers! Stunning work!!!TFS! !